We are so excited to introduce to you Michigan's FIRST Mobile Daylight Photographic Studio! 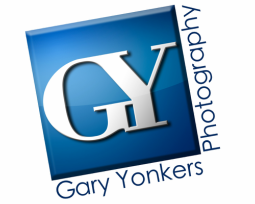 Gary Yonkers Photography is making your portrait or product session even easier. No more scheduling time off of work, no more clearing space in your office, no more interruptions to your staff, we bring the entire studio to you! All you have to do is walk out of your front door, step into our studio and within minutes your business portrait, pet or product is done! We can do an entire office staff or board of directors within minutes. Our setup is one of a kind. We can add your company logo to the background, use one of over thirty traditional backgrounds or customize a background just for you. While we're at your location we can even photograph your environment, do architectural photography or even studio product photography. Would you like to see us in action? Check out our Mobile Studio's video. In our mobile studio we are able to do so much more than just headshots. We can do Corporate Headshots, Business, Commercial, Children, Family, Products, Pets, Seniors and Special Events. Our mobile studio has the first translucent ceiling and we're able to give the customer the available light look that is so popular today. With that being said, the possibilities are endless. Our digital artists can add any background to your image and also put large groups together for your family, office or team. For the corporate or business portrait we offer over 50 different backgrounds ranging from traditional, contemporary, to environmental. While we're at your location we are able to photograph your environment and also the architecture that you're so proud of.